“Your make-up is worsening the condition of your skin!”, Do not use make -up if you have acne!. These statements are pretty common …. Are they really true? Read on. Beauty (and clear and beautiful complexion is certainly considered an important component of the beauty is of importance to many women, and a lot of effort, time and of course money is invested into achieving flawless looking skin. What many may not know- is that as you can use make-up to cover skin imperfection the very same products that are used to mask those flows ( like pimples or acne scars and marks) if not chosen carefully can also go against a desired effect and actually exasperate the very condition that they should camouflage. Using the wrong makeup or following bad skincare habits could actually accentuate the pimples you are trying so hard to hide. But we are not without a solution. This negative impact can be changed by understanding what’s going on with your skin, reading product labels, choosing righ typeof make-up products and correcting bad makeup habits. Let’s begin! 1. - Read the Labels! Many women visit beauty stores unprepared of what to look for and eventually purchase a product that can ruin a perfect date. On your next visit, take the time to carefully check for products that say paraben-free, sulfate free, oil-free or non-comedogenic. This is a good sign for acne prone skin as these ingredients are likely to clog pores, which can cause acne or irritate it much more. Avoid using anything that contains isopropyl isostearate, isopropyl myristate, myristyl myristate, lanolin oil, coconut butter or lauric acid. If your skin seems sensitive to oils, try silicone-based makeup instead. 2. - Concealer. After laying the foundation, concealers are the answers to ensuring red spots, acne scars and dark circles under your eyes are less visible or even disappear. 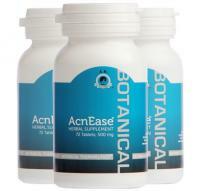 If you have a pimple or red marks, which is often the case when one has acne, choose a green base. Peach, tangerine, and deeper orange shades neutralize acne scars well. Color correction makeup is advised to cover acne scars and other discoloration. This is a longtime makeup artist secret for film and photo shoot that’s turned into a huge beauty trend. It’s based on the concept of using contrasting hues to “cancel out” discoloration caused by acne, scars, blemishes, birthmarks, and other pigmentation issues. 3. Less is Better! Too much makeup can do more bad than good. Applying think layer of makeup on the skin you draw attention to the bumps, even they are covered. Always begin and proceed with the light touch and thin layer that you may repeat if absolutely necessary. In addition use light strokes instead of rubbing motion while applying make-up. The Makeup and acne specialists suggest selecting a lighter shade of foundation for regions affected by acne and darker shades of foundation for the cheeks, forehead, nose, and chin. 4. – Always Clean it Right.. Dispense baby oil or jojoba oil on a cotton pad or cotton ball. Use pad or ball to remove makeup. To avoid irritation, do not scrub other areas of the face with the cotton ball or pad. When using dark eyeshadows or pink blush, it is advised to first apply concealer to decrease irruption of blemishes. Before applying makeup, make sure the skin is prepared. Wash your face well with a suitable product, then moisturize with a light, on comedogenic moisturizer Avoid touching poking and popping your pimples as this can increase access for bacteria to enter deeper into the skin and cause ore serious inflammation including cysts and scars. Make sure your beauty tools are always clean and not neglected. Using a mixture of baby soap and water, gently clean your make-up tools every week. Switch brushes with disposable applicators, think cotton swabs or puffs. Store beauty tools in a case so they stay fresh then restock them often. Remember to ditch old and unused products. Falling asleep with your makeup on is the biggest mistake someone with acne or acne prone skin may make. Sleeping with your make-up can lead to infection and clogged pores, which lead to acne. Always wash your face before bed! Worst case, if the residue stays on your pillow, it can also make you sick. Make sure you change your pillowcase at least once every two weeks. Purchase products over the counter with ingredients that clean your skin but do not strip it from essential oils nor clog pores. . 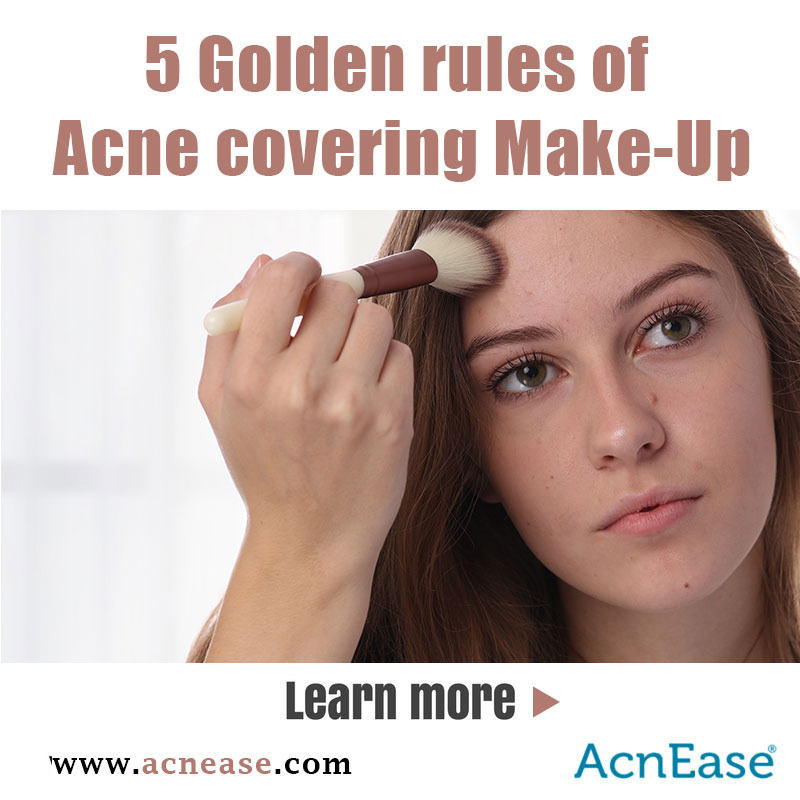 So the truth is that mixing make-up with acne may be tricky, there is no need to avoid makeup all together if you need it for your self-confidence. It is important however to choose the right products and practice the right make-up routine so you do not maneuver your slef into the trouble.